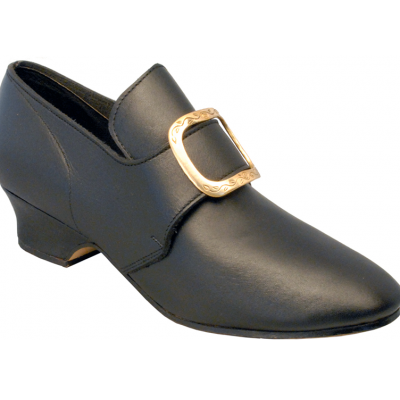 Connie has a 1-3/4 inch heel, made for a buckle but can be tied. Natural rough-out leather. Straight last shoe. Connie is modeled after a photo in Baumgartner’s book on Clothing in Colonial Williamsburgh. Connie is a straight last, heeled shoe. Surprisingly comfortable. You will forget that it is a straight last shoe the second or third time you wear it. 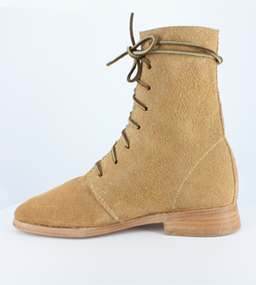 Connie in natural rough-out supple leather/suede. The naturals were meant to allow the customer to dye a shoe to match her outfit. 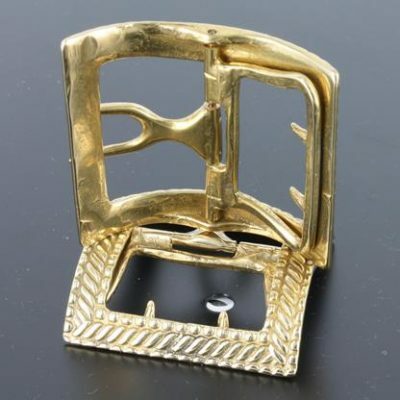 This is a buckle shoe, but can be made to be tied. Buckles are sold separately. 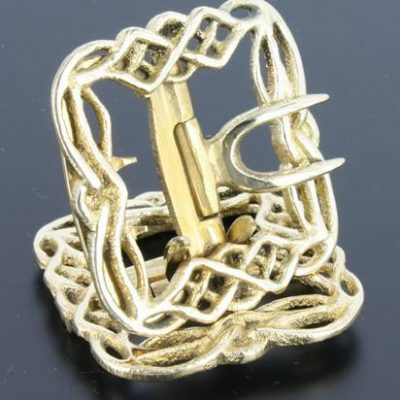 All our buckles will fit the 1-1/4″ latchets. 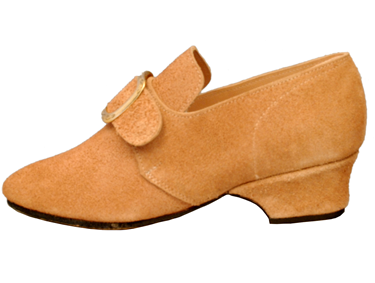 The Baumgartner book shows a natural color shoe like the one shown and was the model for our Connie’s. Connie has a 1-3/4 inch heel and has leather heels and sole. 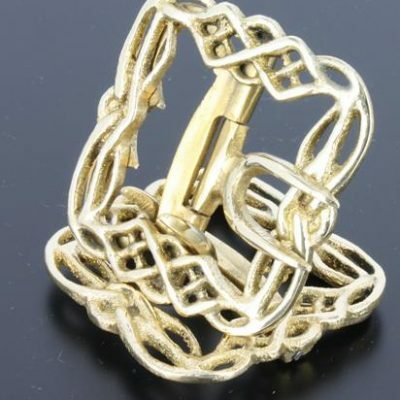 It is available in sizes 6B medium to 10C wide, in whole and half sizes. 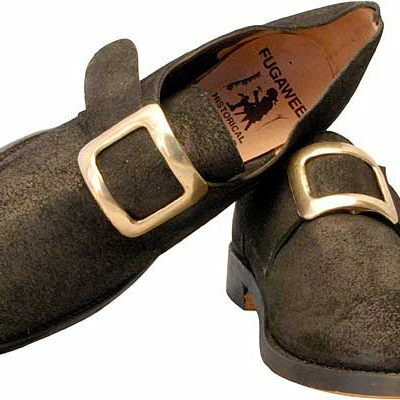 The Mule is a simple, comfy and beautiful footwear that comes down thru the ages . 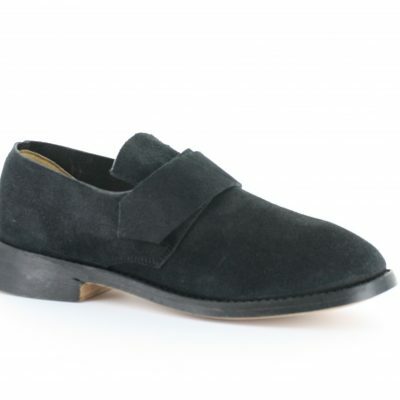 Easy to slip on and with a leather sole so it can go from the bedroom to outside. 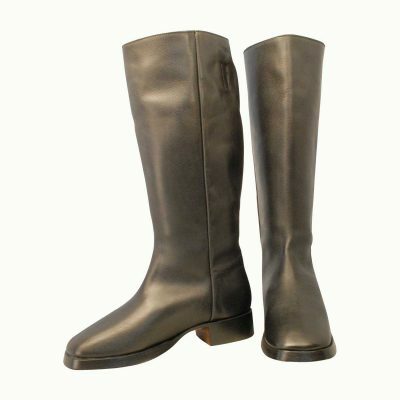 It has a moderate heel and decorative trim across the arch. The leather backed tapestry fabric will change from time to time as fabric gets used up, but we always pick a new fabric with heirloom design in mind. Full and half sizes 5- 11 width is a wide C.